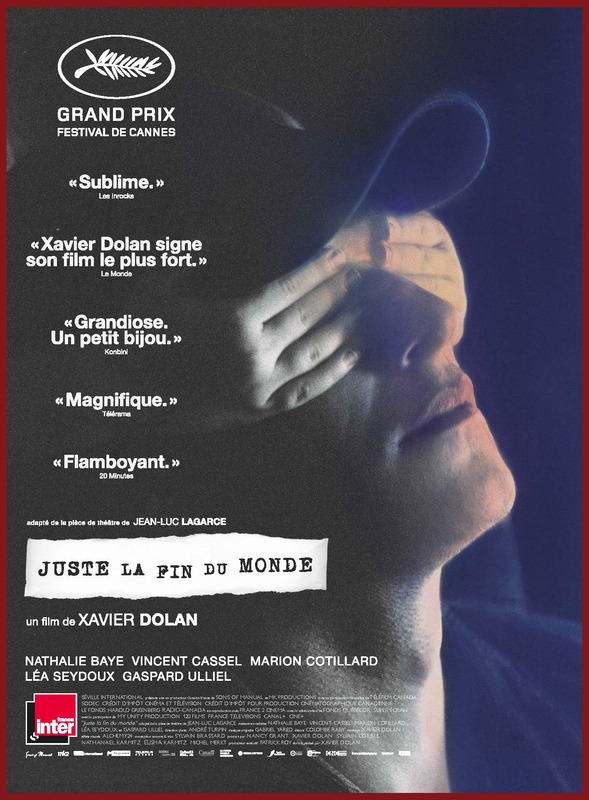 In It’s Only the End of the World, Xavier Dolan adapts a play by Jean-Luc Lagarce and makes a film of a great maturity. Maybe because it’s his first film that is an adaptation, he can find the right distance from the subject and focus entirely on the best way to translate the story onto the screen. The result is a brilliant mastering of direction, including the use of light, framing, and particularly sound. The film tells the story of Louis who comes back to see his family after having been away for a long time, and tell them he is going to die. But between the small talk, the quarrels, and the reproaches common to every family, and maybe also because they don’t want to hear it, he doesn’t really manage to tell them. Or maybe they already guessed. The actors are remarkably directed, often far from what they usually do, and Vincent Cassel gives one of his best performances, very minimalist and very moving. The cinematography, signed by André Turpin, is amazing and underlines beautifully the mood shifts and the progression into the fabrics of feelings between people who are close but haven’t seen each other for a while. The music by Gabriel Yared is very delicate and sometimes obsessive, but always very discreet. And the sound by François Grenon is amazing, particularly these moments of grace when everything slows down for a little while and we are just in a very close proximity with one of the characters. This film is definitely a contender for the golden palm. It is mine without any hesitation.